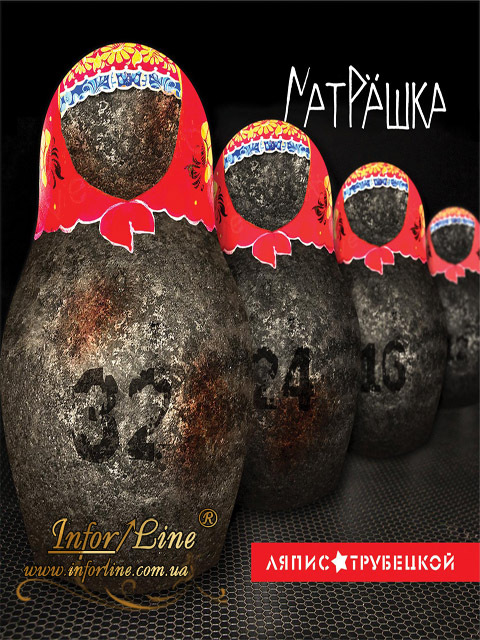 All the songs included in the album "Matryoshka", were written in 2012, long before the Ukrainian Maidan, the Russian Olympic and other significant events, which many now associate our record . "Matryoshka" - it is not agitation, not propaganda, not couplets on the topic of the day. This fantastic musical- cyber-punk, this album -tale dedicated to our near future. Over the period since 2012, some of the songs have already started to come true, some not yet come true - and will come true or not, depends on us today, from our actions here and now. Therefore behave well . Protect the weak, fight injustice and defend his opinion, help those who are in trouble, and do not forget the two most important things in our lives : love and friendship . P.S.Release of the album "Matryoshka" took place on 1 March 2014. The album was released simultaneously on CD, vinyl, branded iPods Lyapis Crew, as well as on iTunes, and other digital Yandeks. The album includes 10 new songs of " Lapis Troubetzkoy" as well as a cover of the song "Civil Defense " "State" . Simultaneously with the release of the album began a new round of " Lyapises" also known as "Matryoshka" - within it the group will visit all the major cities of Russia and Ukraine, as well as Latvia, Lithuania, Estonia, Kazakhstan, Poland, Czech Republic, Germany , Israel and other countries .